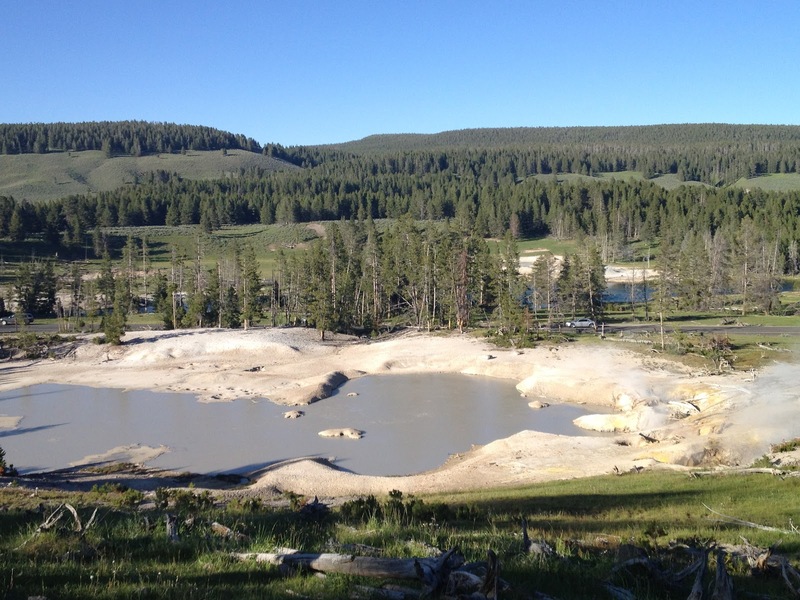 Our first stop after we entered Yellowstone was the Mud Volcano Area. We walked the entire loop, a whopping 2/3’s of a mile. ☺ Be prepared for the stink! The actual Mud Volcano is really small. 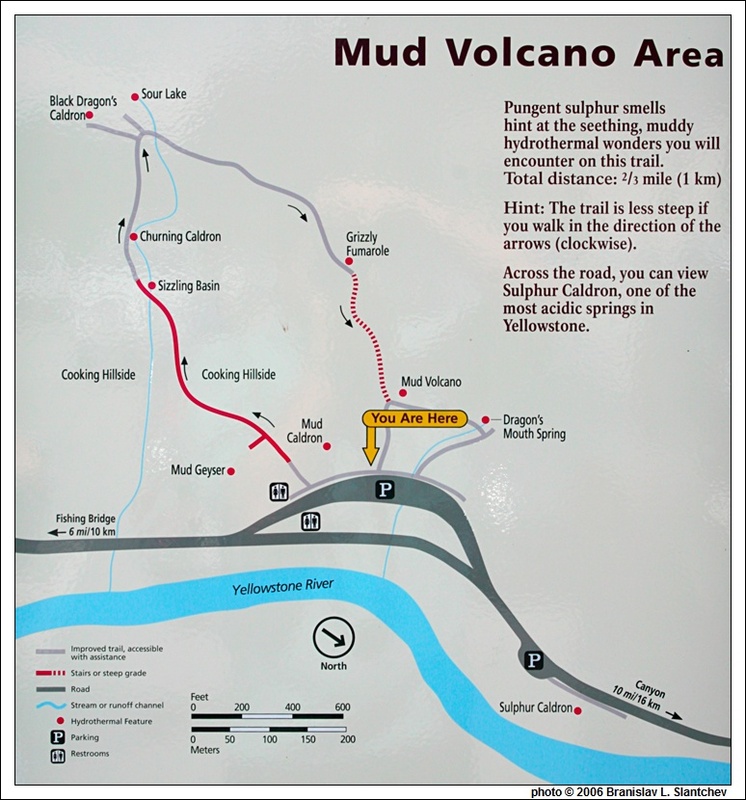 I was expecting something much larger with the name “volcano”. Anyway, it was quite stinky and muddy. Not much to write home about. 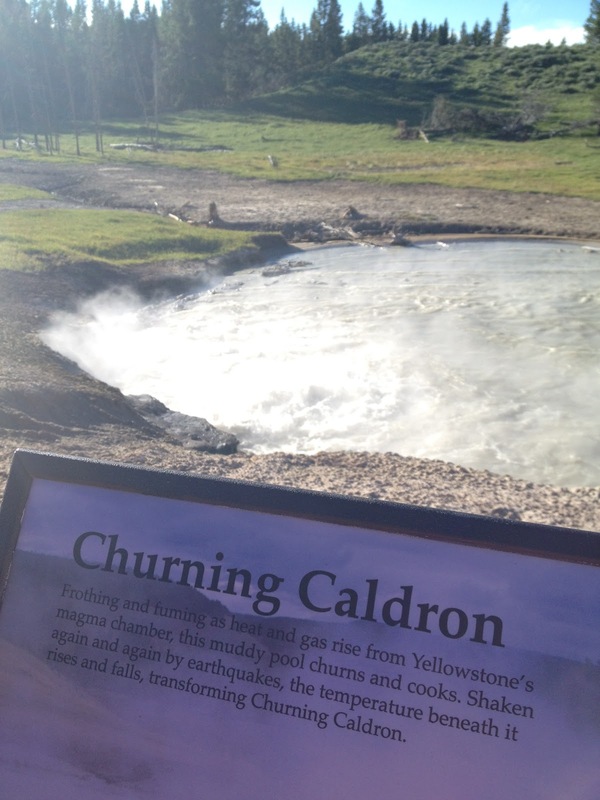 We kept walking around the trail until we reached the Churning Caldron. It was bigger than the volcano, go figure. I think I should have had a hand in naming these things. Isn’t a caldron a pot? Yet, the caldron was bigger than the volcano! Our walk ended overlooking Mud Geyser. Unfortunately, it wasn’t doing anything exciting. Just being a big pit of mud. It is strange how nature has a way of being beautiful even when it’s not. Yellowstone is like that. Amazing, interesting, smelly, beautiful…so many adjectives could describe this place. You just have to experience it for yourselves to decide which words you would use. On top of our destinations list for this year! No doubt about that…The fun awaits!